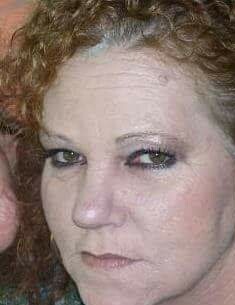 Sharon Renae Smith Herndon, age 57, of Old Fort passed away on Monday, February 4, 2019 while at the Solace Center in Asheville, NC. Sharon was born on August 7, 1961 in Murray County, GA to the late Earlie and Sarah Smith. In the kind words of her Son, Bobby, She was the strongest woman we ever had the pleasure of knowing. A great mother, great sister, and a great friend. She was the type of person that would give anything she had to help someone with no thought of herself. She loved her family, music, and was very artistic throughout her life. And even grew closer to God, strengthening her faith until her last breath. Even in the end, she reminded us of the greatest lesson we learned from her. Life isn’t fair, and you have to be strong. Left to cherish her memory are her four children, Bobby Shawn Rhoades, and wife Myranda of Marion, Timothy “Tim” Rhoades of Marion, Teillia Smith and husband Jonathan Packett of Marion, and Tiffany Cole and husband Jacob of Belfast, NY; one sister, Mary Blaylock of Old Fort, and four brothers, Frank Smith and wife Pearl of Marion, Earlie Smith and wife Jean of Alabama, Eric Rose and Robert Rose both of Georgia; and twelve grandchildren, Trace, Keenan, Kiki, Kaytie, Micah, Alyssa, Zoe, Alabama “Abby”, Axel, Kyle, Ivalee, and Alex. A visitation will be held on Saturday, February 9, 2019 from 2:00 – 3:00 pm in the chapel of Westmoreland Funeral Home in Old Fort. A funeral service will be held following the visitation at 3:00 pm in the chapel of Westmoreland Funeral Home in Old Fort with Rev. Bruce Ward officiating. Following the service a committal will be held in McGinnis Family Cemetery.